Robert Rauschenberg (1925 – 2008) was an American painter and graphic artist whose early works anticipated the pop art movement. He is usually associated with the Neo-Dadist and Abstract-Expressionist movements. 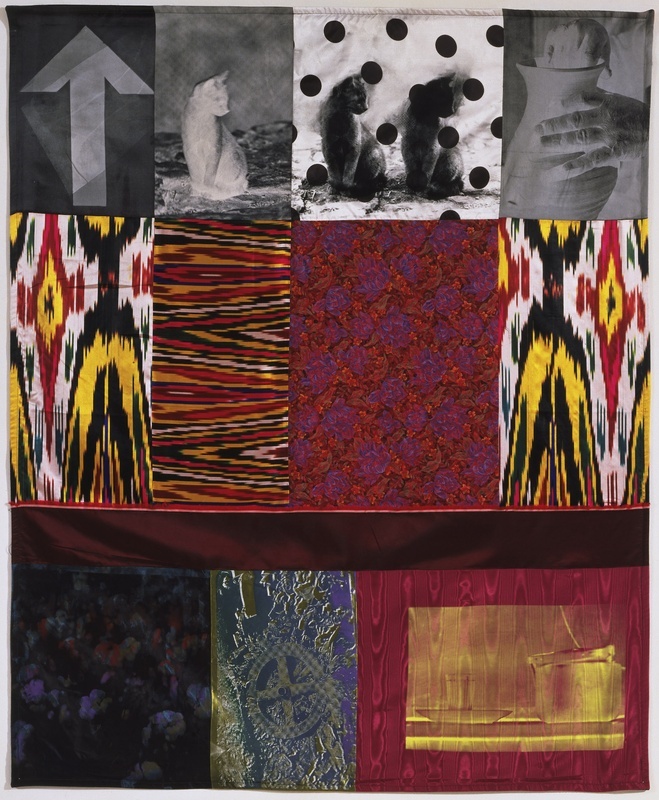 Rauschenberg was both a painter and a sculptor, but he also worked with photography, printmaking, paper making, and performance. He is regarded as one of the greatest collagists ever. He was awarded the National Medal of Arts in 1993. He became the recipient of the Leonardo da Vinci World Award of Arts in 1995 in recognition of his more than 40 years of fruitful art creation. In 1984, Rauschenberg announced the Rauschenberg Overseas Culture Interchange (ROCI) at the United Nations. This would culminate in a seven-year, ten-country tour to encourage "world peace and understanding", through Mexico, Chile, Venezuela, Beijing, Tibet, Japan, Cuba, the Soviet Union, Berlin, and Malaysia. These were places that the artist considered underdeveloped and/or politically repressed. He believed in the importance of creating global, cultural dialogues and treated the tours as intense research trips, where he could expand his palette and gain further inspiration for his own practice. In each country, he worked with local artisans to learn traditional artistic techniques and created multi-media works that were influenced by the respective local cultures and materials, and exhibited at local museums. Paintings, often on reflective surfaces, as well as drawings, photographs, assemblages and other multimedia were produced, inspired by these surroundings, and these were considered some of his strongest works. The around-the-world art-making spree eventually culminated with a 1991 solo exhibition at the National Gallery of Art in Washington D.C. consisting of more than 170 works. These included large-scale paintings, sculptures and other art objects that were characterized by explosive, highly charged colors, and a lively textural quality. ROCI continues today as the Robert Rauschenberg Foundation, which supports collaboration and cultural exchange. 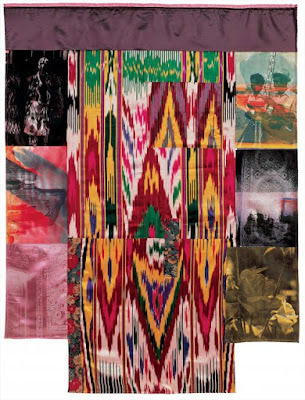 The Samarkand Stitches, produced after he visited the ancient Silk Road city, is a suite of wall hangings made from sewn fabric, printed with photographs then silkscreened. The vibrant panels are as much a representation of Samarkand’s culture as an expression of Rauschenberg’s aesthetic. More images of Samarkand Stitches pieces are available at Gemini G.E.L. Graphic Editions. 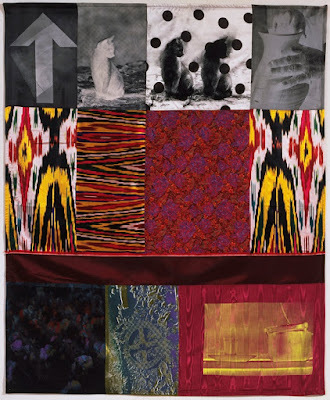 In early 2017, the Tate Modern in London, in conjunction with MOMA, New York, organised the first full-scale retrospective since the artist’s death in 2008, celebrating Rauschenberg's six-decade long career.